Sometimes we come across a company we can’t wait to share with the world. NatureRx is one of those companies. Not only do they offer a unique approach to taking CBD, but their professional approach clearly sets them apart from the competition. 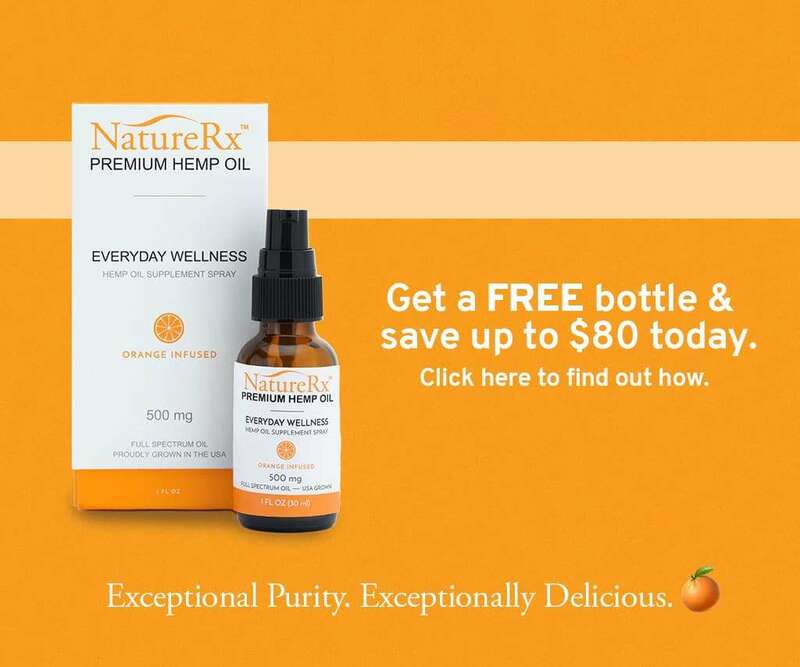 NatureRx offers an “exceptionally pure” product that’s “exceptionally delicious”. Let’s take a look at what makes this CBD company different from others we’ve tried. The day we placed our order, we quickly got a confirmation email telling us that our order was received. Later that day, we received an email letting us know that our package had shipped, which also gave us the tracking number so we could easily track our package. Thanks for choosing to keep in touch with us (your body and mind will thank you, too). We started NatureRx after seeing cannabinoids change our friends’ and family members’ lives for the better. After decades in agriculture and technology, we knew we could develop a more effective formulation. All of our products are sourced from premium hemp cultivars, sustainably grown with love and care by family farms right here in the USA. Plus, unlike most CBD oils, our Everyday Wellness Spray actually tastes good. Sweet, right? Look forward to updates stories, and exclusive deals coming to an email inbox near you. P.S. We’d love to connect on Facebook, Instagram, and Twitter. We work with and review A LOT of CBD companies. This was the first email of its kind that we’ve ever received. We loved it, honestly. It wasn’t at all salesy or pushy, just more of a “Hey, thanks for choosing us, we appreciate your business” kind of thing. And when NatureRx mentions that their “Everyday Wellness Spray actually tastes good,” they aren’t lying. Honestly, it’s one of the best tasting products we’ve ever tried. We have tasted countless CBD oils, tinctures, gummies, edibles, and more since starting CBD School. 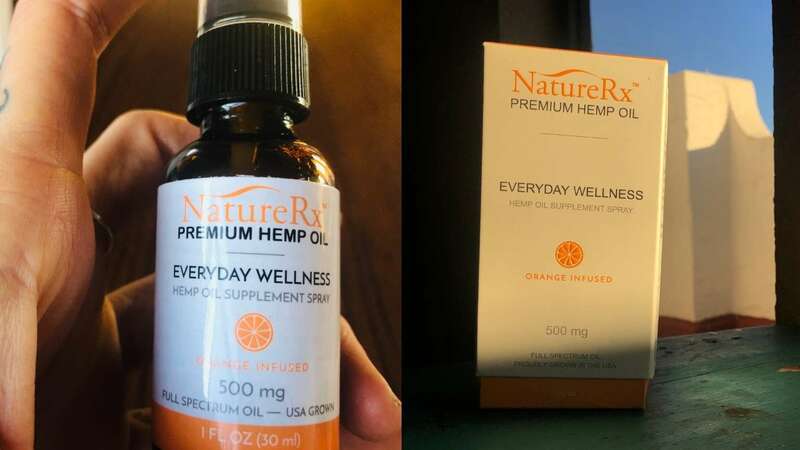 Out of the plethora of products we’ve tried, not one has come close to tasting as good as NatureRx Everyday Wellness Hemp Oil Supplement Spray. Before even taking it out of the box it came attractively packaged in, we somehow knew this product was going to be different. Without letting ourselves get our hopes up too high, we eagerly opened up the box that the 1oz (30ml) bottle was nestled inside. We weren’t at all disappointed with what we found. NatureRx Everyday Wellness comes in two sizes. 300mg/regular strength ($49.95+free shipping) and 500mg/extra strength ($59.95+free shipping). They’ve also got a deal where if you buy two bottles, you get the third free. We opted for the 500mg size. The supplement facts were printed both on the box and inside the label on the bottle itself. In the 500mg bottle, serving size is 5 sprays, which contains 8.3mg phytocannabinoids per serving. The ingredients in NatureRx Everyday Wellness are all-natural. No preservatives, additives, or artificial colors or flavors. And how do these all-natural ingredients hold up flavor-wise? We followed the directions and sprayed five sprays, which came out in more of a stream rather than a spray but didn’t seem to make much of a difference. We really weren’t prepared for this product to taste as good as it did. We’ve never tasted an all-natural product like this that didn’t have at least a tiny hint of earthiness to it. If you’ve tried all-natural CBD products before, you know what we’re talking about. There was nothing earthy about it at all. 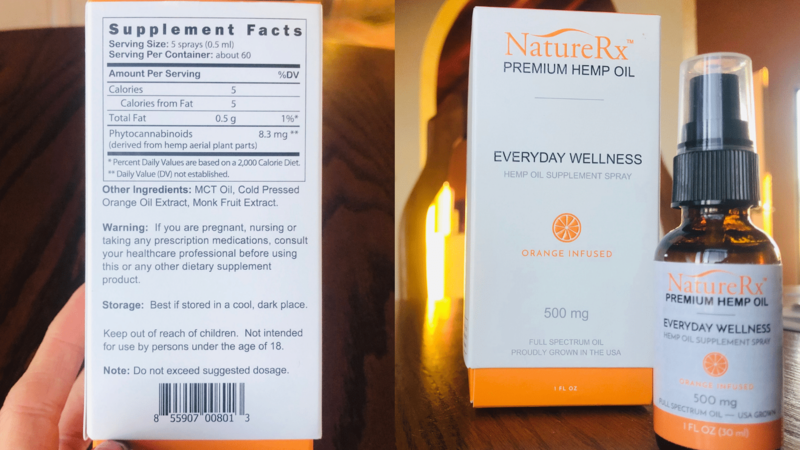 NatureRx Everyday Wellness tasted like sweet, sweet orange. Almost like candy but smooth and not unnaturally sweetened in the slightest. We want to say it tasted almost like the cereal Fruit Pebbles but not artificial at all. Just smooth, sweet, fruity orange with a lovely aftertaste that lingers lightly on the palette. Our first overall impression was that we couldn’t wait to use this product again. It truly tasted that amazing. Sweet orange. Smooth as silk. Remember, we review numerous CBD companies and are constantly on the internet researching all things cannabis. That being said, we come across countless CBD brand websites on the daily. Some of them are impressive enough to keep us coming back time and time again. Others, not so much. In an industry where it’s vital to stand out from your competition and prove yourself as a credible company, you’ve got to have a solid website to back yourself up. The professional approach they take on their website is on par with the top companies in the industry. It flows perfectly with the professional approach taken when we placed our initial order. Their site is easily navigated, with their commitment to quality readily displayed. 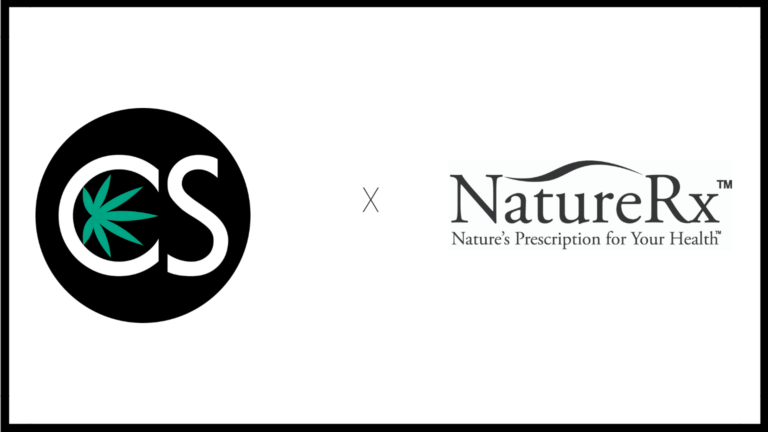 Nature Rx is proud to oversee 100% of the manufacturing processes that goes into making their unique wellness spray, and readily offers lab results for their products that are easily found on their website. 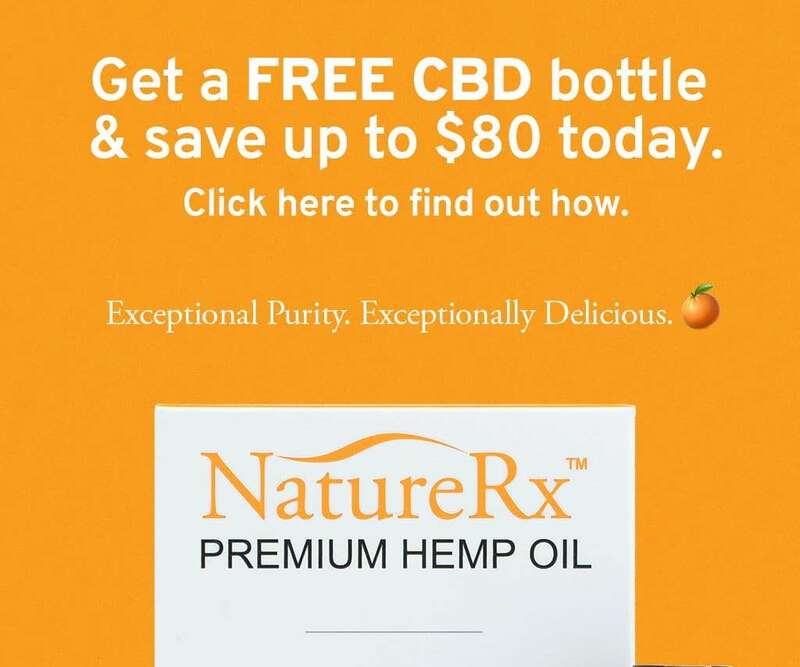 According to NatureRx, they’ve got a “commitment to honesty, integrity, and transparency” which is something they believe will help earn their customers’ trust. 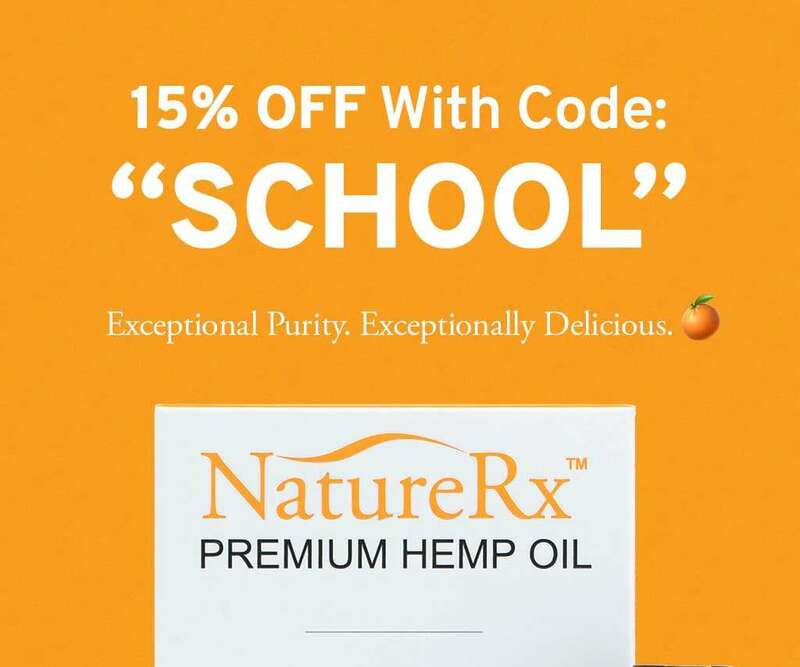 Click here to try NatureRx for yourself today! * As we always say: check with your doctor before adding CBD to your supplement regimen, especially if you already are taking prescription medications.